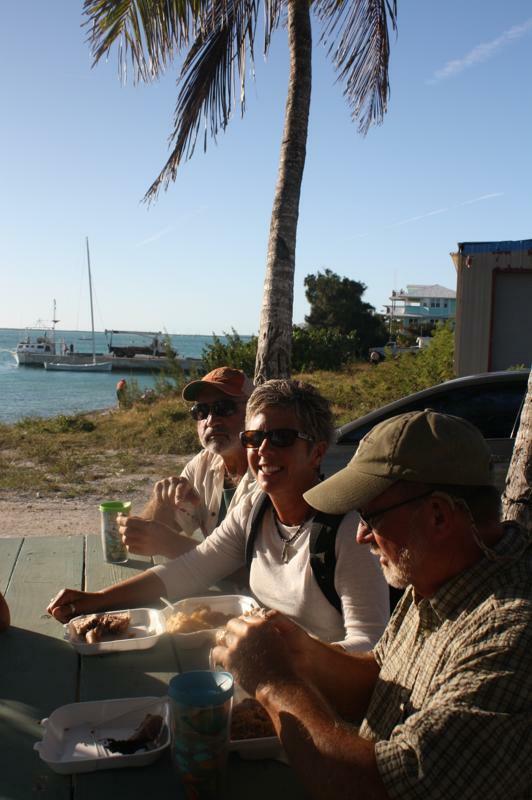 After our excursion to the Jumentos Cays, we had full intentions of continuing south. But…we headed back to Salt Pond, Long Island. 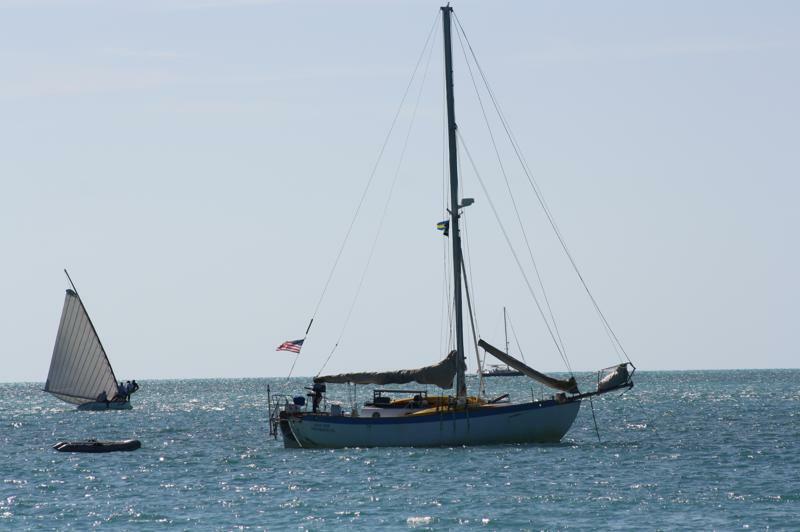 Our party had split; s/v Lutra and s/v Rainbow Connection traveled to Georgetown while we remained in the company of s/v Nila Girl, and s/v Night Hawk. En route to Salt Pond, Brian and I comprised a hefty “to-do” list and we were determined to complete some unanticipated projects while we had the help of our friends and access to local resources at Salt Pond. And so we returned just in time for the Long Island Regatta; which, of course, made it tremendously easy to focus on work! 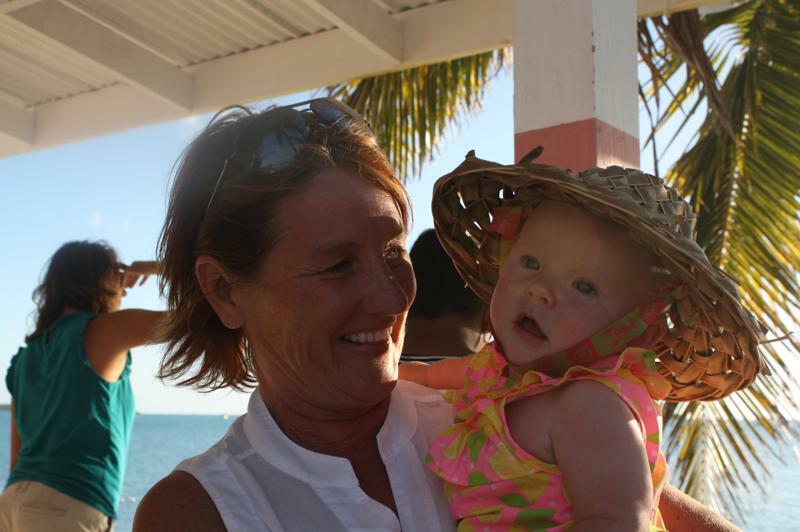 This is an annual fundraising event for the Bahama sloops of Long Island. Cruisers coordinate the Long Island Regatta with their own, friendly race. Cruisers who are located in Georgetown organize a regatta which begins at Georgetown and ends at Long Island. This year there were 67 cruising boats that competed in the regatta and easily another 20 cruising boats that followed the racers just to join in the fun. Here they come around Indian Hole Point! 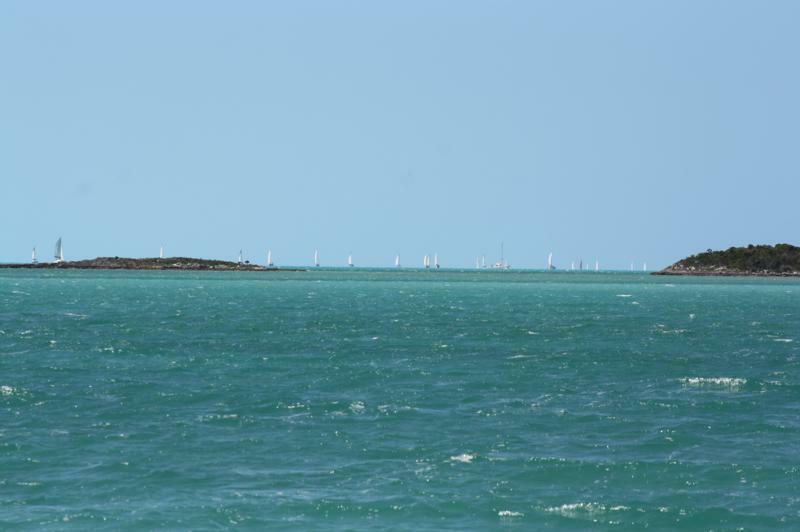 As the cruisers round Indian Hole Point, sailing teams at Salt Pond prepare the Bahama sloops for the regatta. 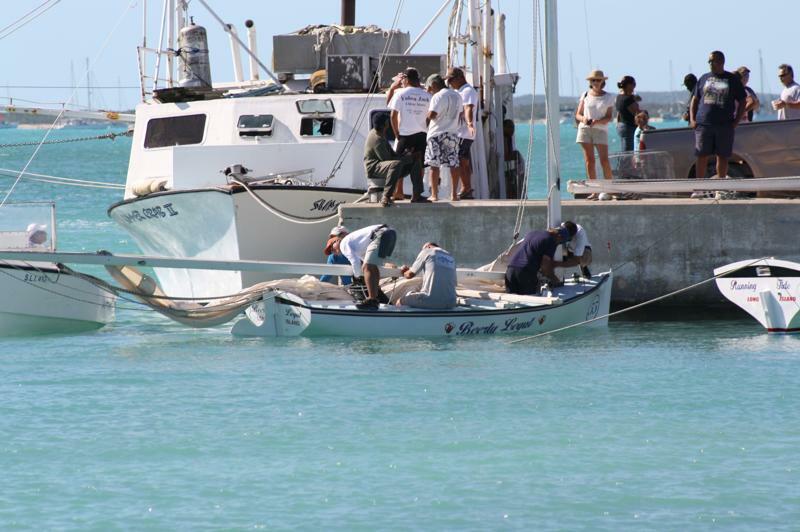 Salt Pond is infused with energy as local sailors prepare to race. 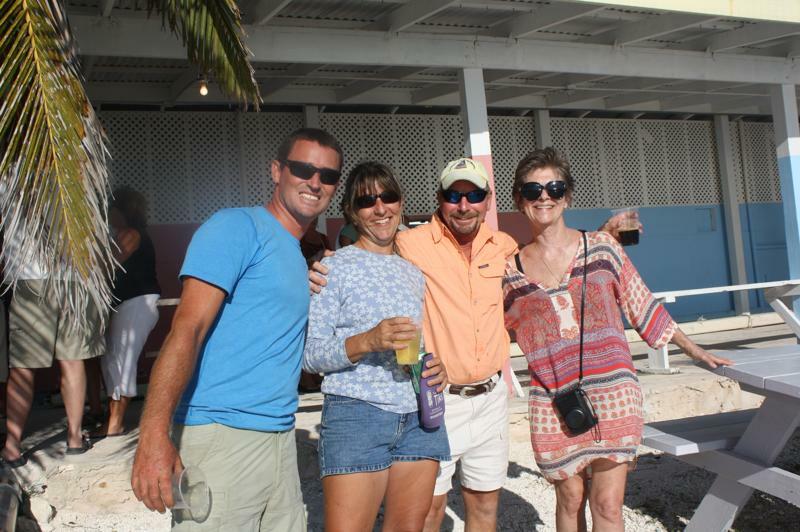 Onlookers gather at the regatta park site to enjoy the regatta while contributing to the fundraiser with their purchases of cold drinks and Bahamian foods. Brian, Genna, Ray, & Colleen having a grand ‘ol time! Bess & Ani get acquainted while Ashley has a moment to take a peek at the regatta. Gary, Cathie, & John give us the scoop on good eats. 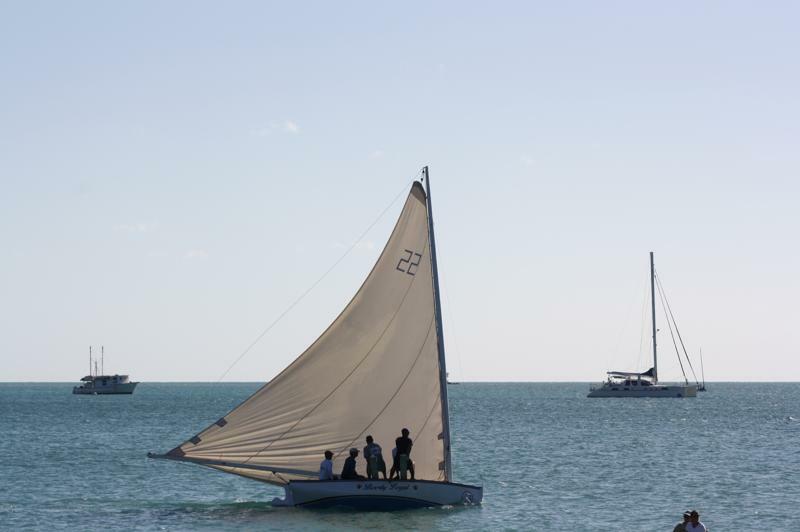 The Bahama sloops are great fun to watch and I’m sure they are even more fun to sail! Following the regatta, during the next few days there are a multitude of activities awaiting the cruisers who have just arrived at Long Island. 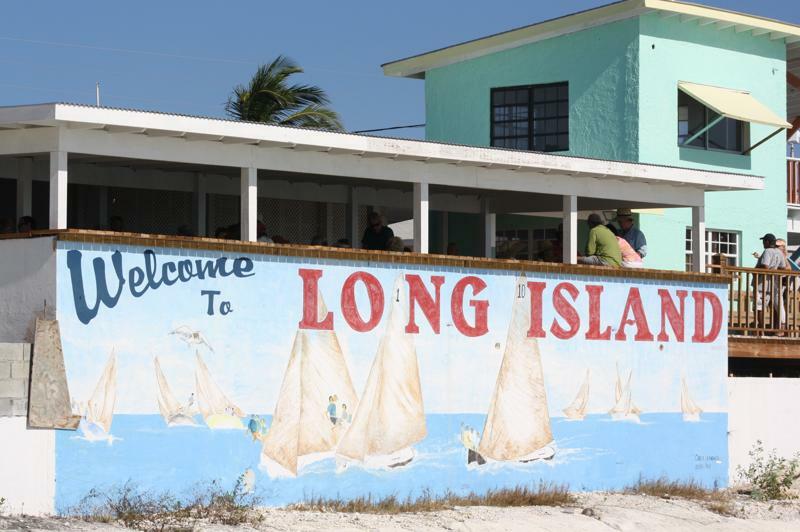 The Long Island Breeze Resort hosts the cruisers; providing a daily VHF net for weather and local information, dinghy dockage, internet access, laundry facilities, etc. The Long Island Breeze Resort facilities several of the island activities and also hosts a Welcome Party Happy Hour for all incoming cruisers and an Awards Dinner for regatta participants. The Office of Tourism arranges bus tours of the island enabling cruisers to get out and about to see all the fabulous sights Long Island has to offer. All the while…the crew of Rode Trip will be hard at work getting ready to make a move once again. 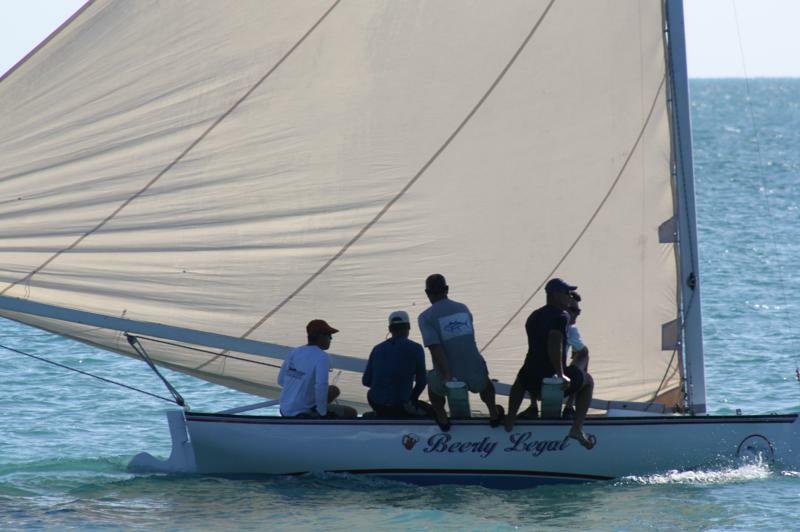 This entry was posted in Uncategorized and tagged Bahama sloop, Georgetown Regatta, Long Island Bahamas, Long Island Regatta, Salt Pond Long Island by stephanie. Bookmark the permalink. Looks like fun times! Where do you plan to go “further south”?